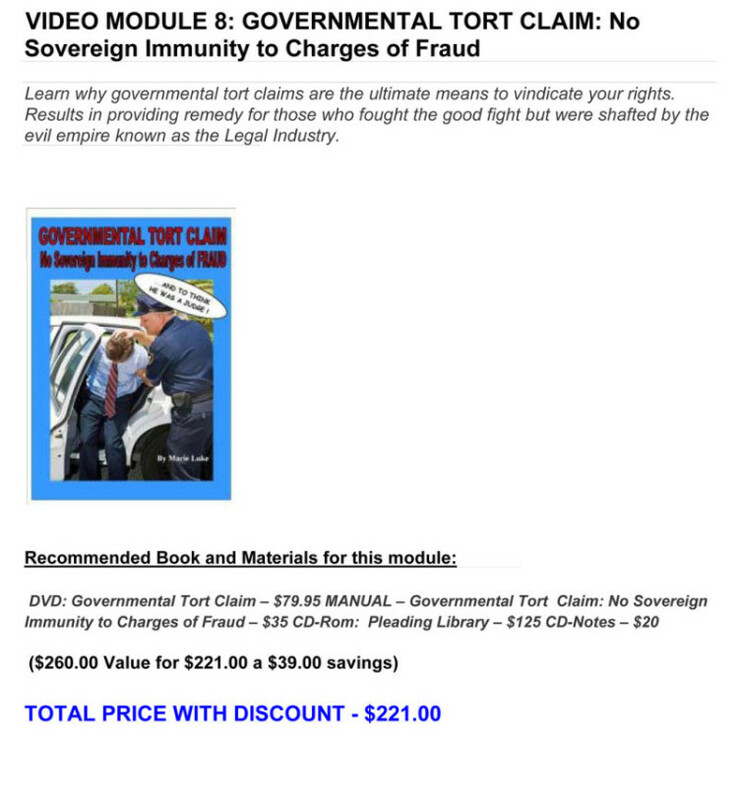 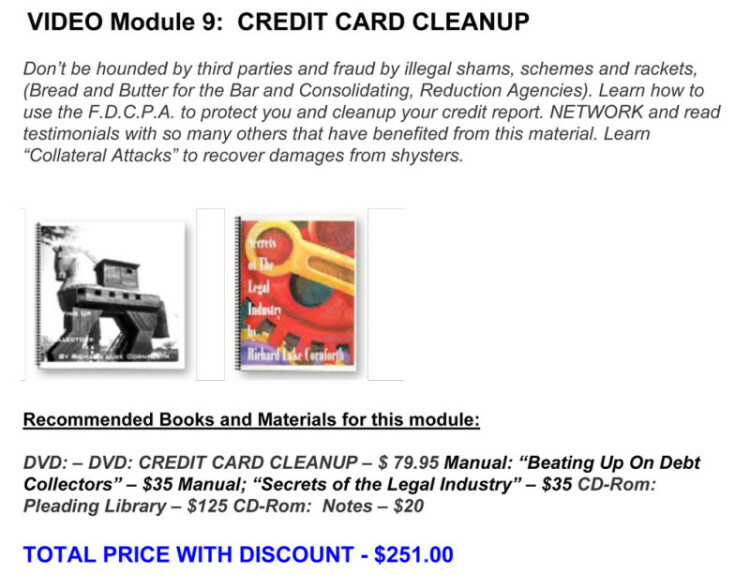 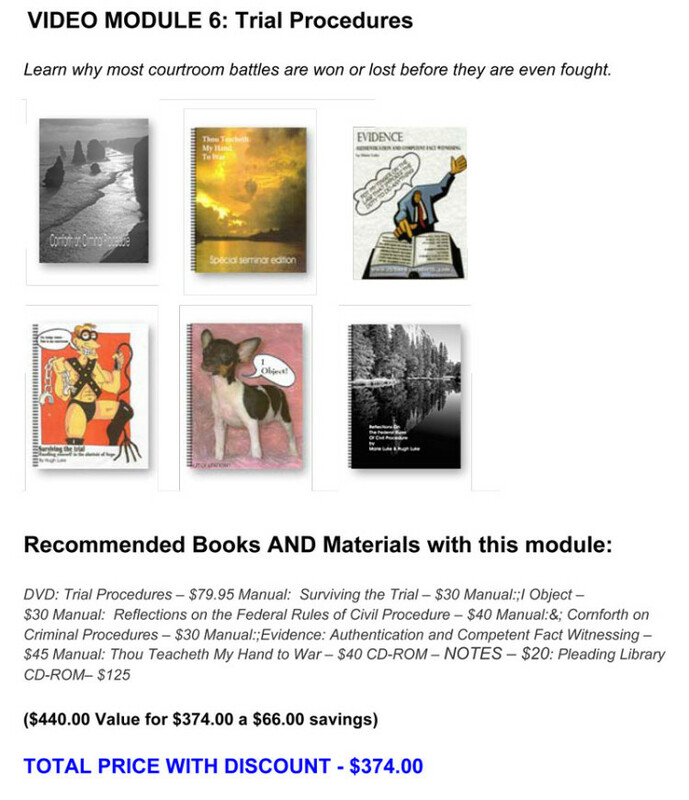 SHOP-PACKS PAGE IT IS WHERE YOU WILL FIND TEN, (10) MODULES THAT ARE DESIGNED TO HELP FIGHT YOUR INDIVIDUAL LEGAL BATTLES AND WIN. 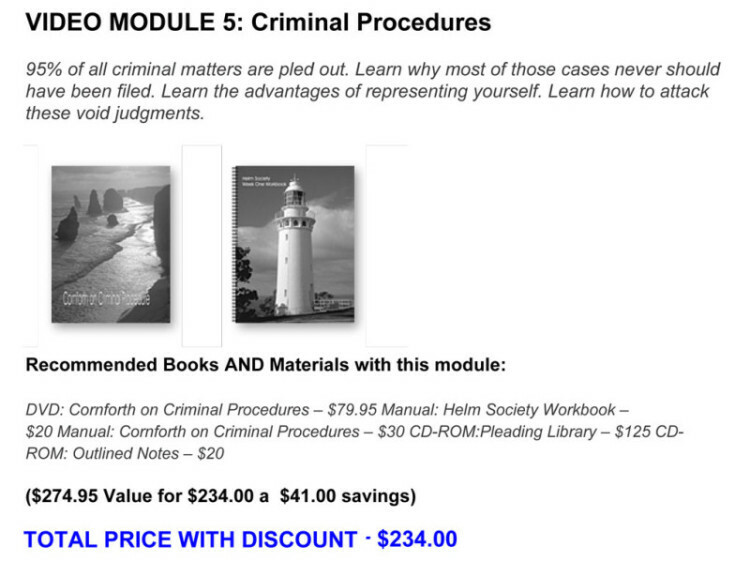 OUR STRATEGIES ARE DEVELOPED TO WALK YOU THROUGH THE LEGAL PROCESS, STEP BY STEP! 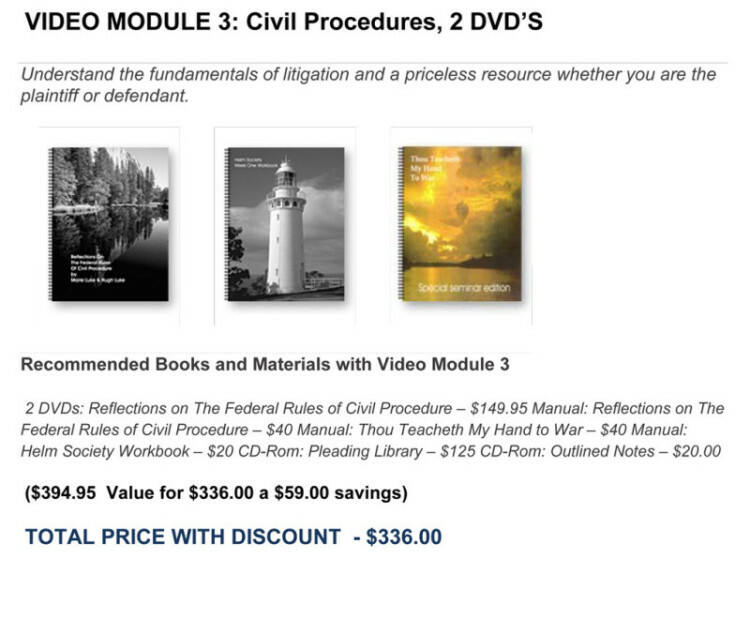 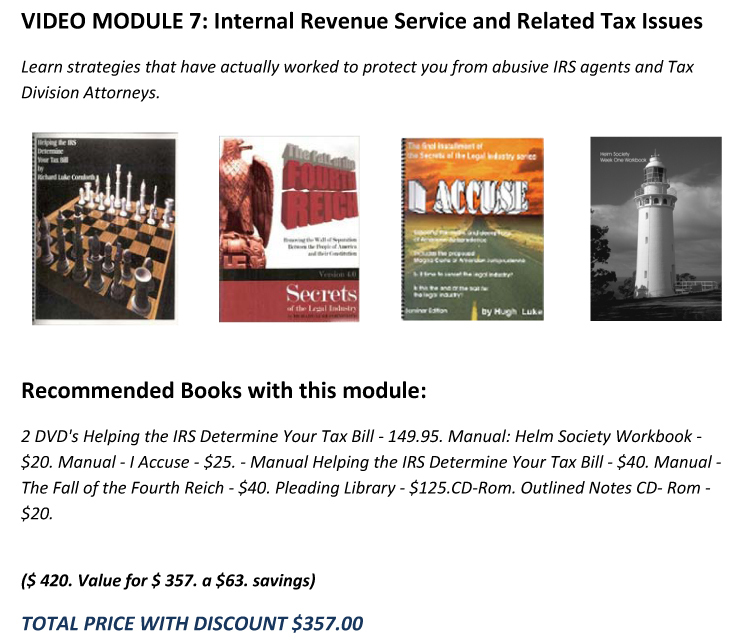 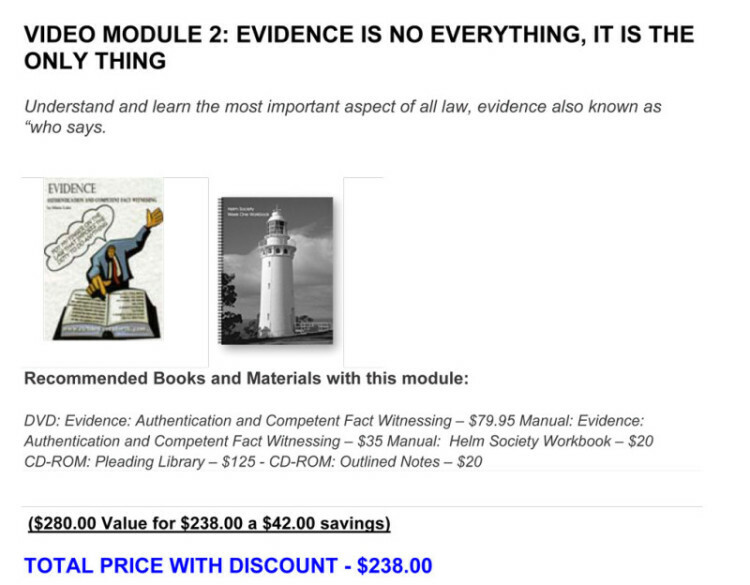 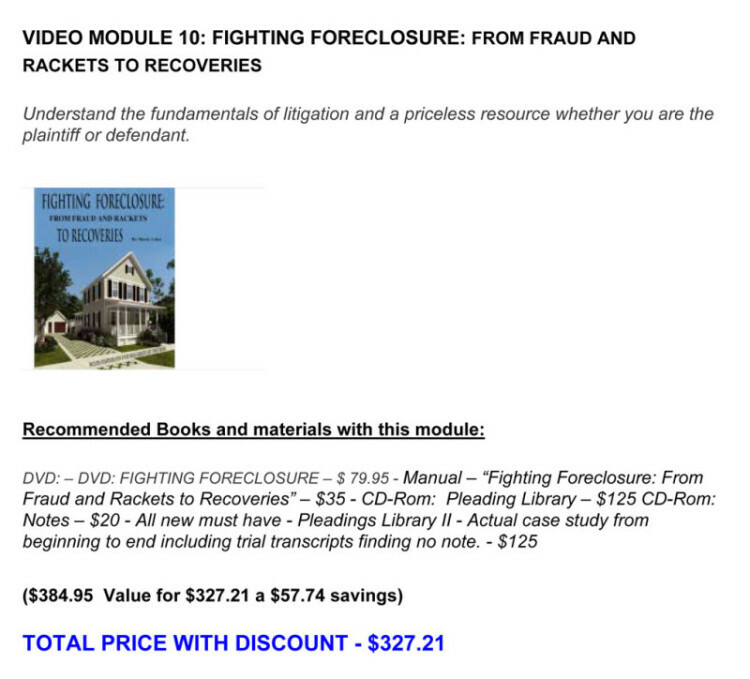 THESE TEN, (10)MODULES COME WITH CLASSROOM DVD VIDEOS AND COMBINED WITH OUR MANUALS, NOTES AND PLEADING LIBRARIES SO THAT YOU CAN DEFEND SPECIFIC BATTLES. 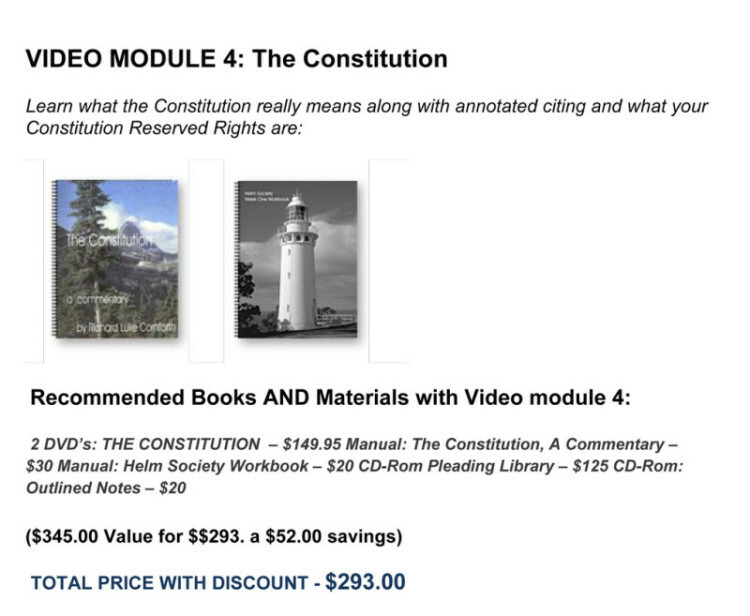 SHOP OUR ITEMIZED-SHOPPING FOR SPECIFIC CLASSROOM INSTRUCTION, WORKBOOKS, NOTES AND PLEADING LIBRARIES SEPARATELY OR CONTACT RICHARDCORNFORTH@AOL.COM FOR PRICING ON ANY CUSTOMIZED DISCOUNTED PACKAGES.